Rural Australian towns are full of giant grain silos. 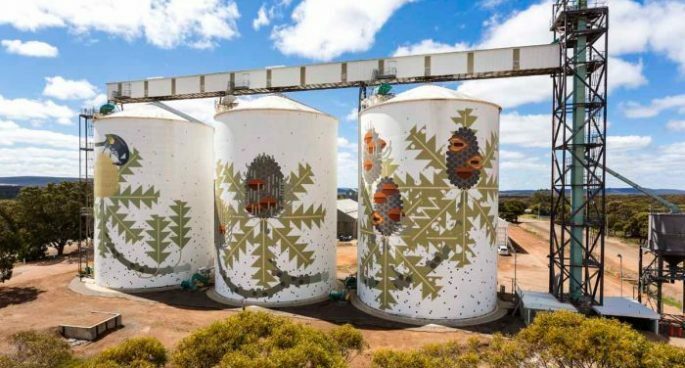 Independent organisation FORM have partnered up with grain grower company CBH group, to turn them into something beautiful. They have created 6 works of art on these silos and created a public silo trail by hiring artists from all over the world to transform them from plain to works of art. We spoke to project manager Rhianna Pezzaniti about this fabulous project.